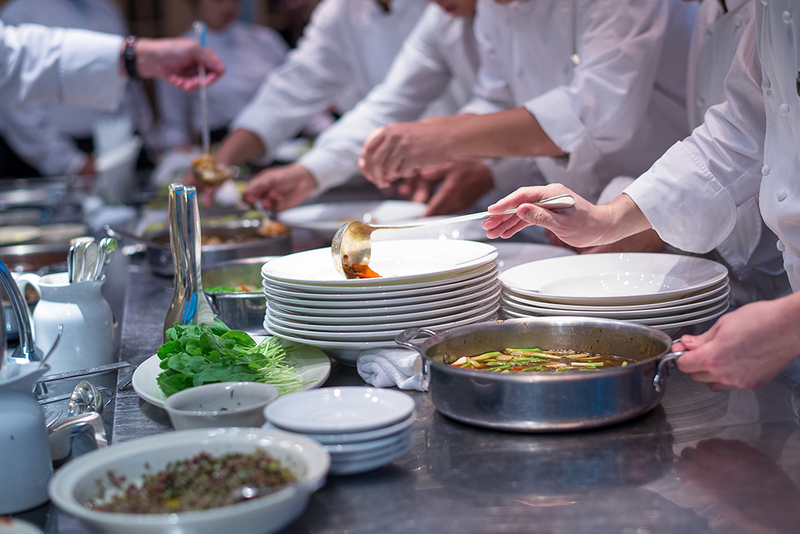 Environmental Health regulates and inspects all restaurants to minimize the spread of food-borne illnesses. Inspection reports are posted at restaurants for patrons and the general public to view. Any time a complaint is filed, or a food-borne illness is reported to public health, Environmental Health investigates. To find out more about the specific restaurant inspection process in your county, contact your county’s Environmental Health Office. The National Restaurant Association’s ServSafe® courses are designed to provide participants with valuable information on potentially hazardous foods and safe food handling practices, the HAACP system of food safety; establishing, purchasing, and receiving standards and procedures; designing facilities and selecting appropriate equipment and guidelines for working with regulatory agencies. ServSafe® Manager’s Certification Course – The ServSafe® Manager’s Certification Program is the industry’s leading food safety and training and certification program and is a key ingredient to help food service operations keep their customers and employees safe. ServSafe® training also helps you understand and identify all the food safety risks in an operation and provides you with knowledge to do your job. This program covers the following topics. This 2-day course is primarily offered to certify managers. An exam is administered at the conclusion of the second day of instruction. Upon satisfactory completion, a certificate will be issued. The cost is $200 per person for the Manager’s Certification Course. ServSafe® Manager’s Certification Course – This 2-day course is primarily offered to certify managers. An exam is administered at the conclusion of the second day of instruction. Upon satisfactory completion, a certificate will be issued. The cost is $200 per person for the Manager’s Certification Course. ServSafe® Overview Class – This class covers basic food safety. A certificate of participation will be given upon completion. All individuals affiliated with the food industry will benefit from the safe food handling information this class provides. In Chatham County, call 912-356-2160 for more information on scheduling a class. In Effingham County, call 912-764-6850 for more information about scheduling a class.